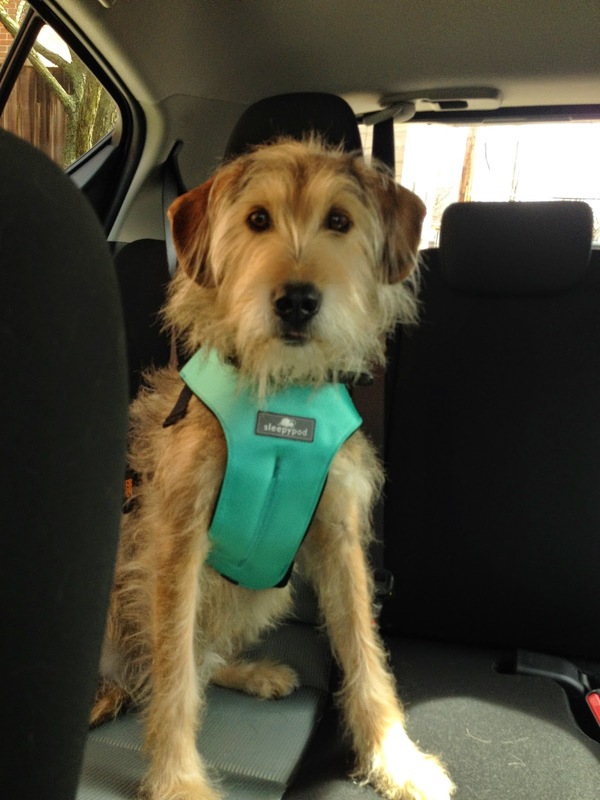 Sleepypod's Clickit Sport Dog Safety Harness: Review And Giveaway! 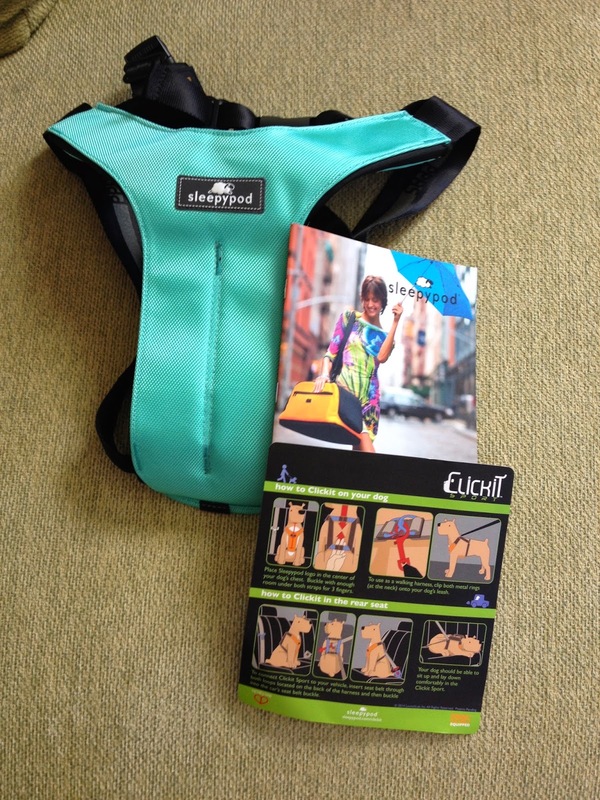 You could win this top of the line Clickit Sport dog harness from Sleepypod! See details at the end of this post to enter! Warmer weather is in full swing, and that can only mean one thing for those of us emerging from a long, cold winter: Road Trips! And most of us these days want to bring our four-legged pals along for the ride, and rightly so. All dogs love riding in the car, don't they? Lets put it this way—dogs give new meaning to the phrase "Joy Riding". I smell spring! Come on, let's go for a ride! Whoa! Not so fast...there's a little something called "safety" to be considered before we take even the shortest car trip. You humans always buckle up before you start the car, and we pets deserve the same consideration. The seat belts you wear are specifically designed for each particular car, and are tested and re-tested by independent safety groups to ensure they meet all safety standards and have passed numerous crash tests—meaning that statistically, you are far safer wearing a restraint than not wearing one. Finally, thanks to Sleepypod, there's a superior quality car restraint just for dogs that's not only great looking, it actually excels at its intended purpose—keeping your beloved pet safe while riding in a car. 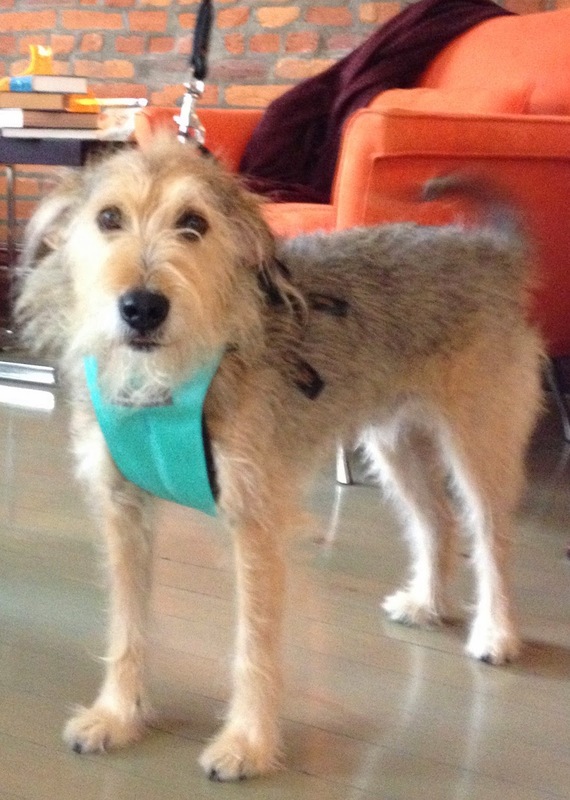 Sleepypod makes two dog safety harnesses: Clickit Utility and Clickit Sport. Both have been rigorously tested with the same frontal crash testing that ensures the performance of child safety restraints. And in late 2013, "the Sleepypod Clickit Utility Harness was the only one out of seven that protected all the [test] dummies in 30 mph crashes." 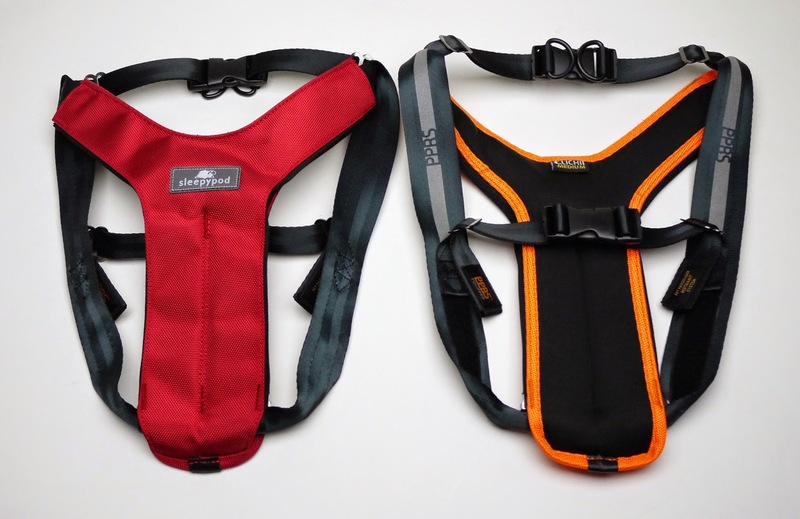 Their second generation dog harness, the Clickit Sport, which we received to review and are giving away today, passed these same rigorous crash tests with the same flying colors as the first Clickit dog harness. We received the Clickit Sport Size Medium, in Robin Egg Blue, and our one winner will receive a Clicket Sport harness in the color and size of their choice. Bocci's Beefs received no other compensation for this post, and all of our opinions are our own. Notice that it comes with a sturdy card printed front and back with simple, photo enhanced directions for putting the harness on your dog, adjusting the straps, and attaching it to the rear seat. We also received a beautiful Sleepypod catalogue showcasing all of their cool products. As noted on the Sleepypod ordering page, you must determine your dog's girth by measuring around his or her ribs, just behind the front legs. Then chose a size small, medium or large based on the measurement table provided. My girth was 21and 3/4 inches, just a touch below the minimum torso measurement (22") for a size medium. I rounded up, ordered a size medium and tightened the harness straps as far as possible to get a good fit. Here I am ready to go! The Clickit Sport boasts an Infinity Loop web design and padded, energy absorbing (read comfy) vest that secures your dog's entire torso. This is the only dog safety harness that maintains three points of contact with your dog's body which "reduce forward and lateral movement in the event of a collision or sudden stop". When properly fitted, and your car's seat belt pulled through the Infinity Loops and locked into place, your pooch should still be able to sit and lie down comfortably. Hello? Can we leave already? The big idea here is that properly designed and fitted restraints used on car passengers prevent injury and death. 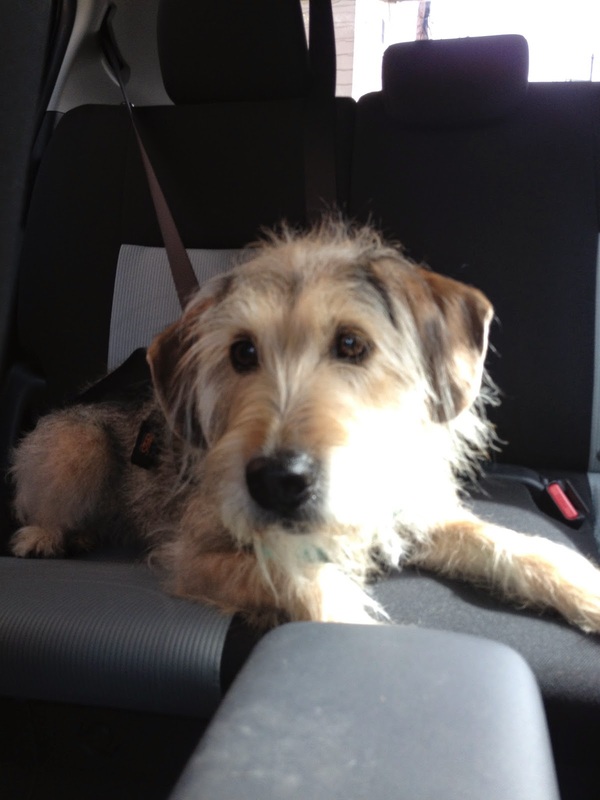 Your dog is a passenger in your car—therefore, he or she should be properly restrained when traveling. 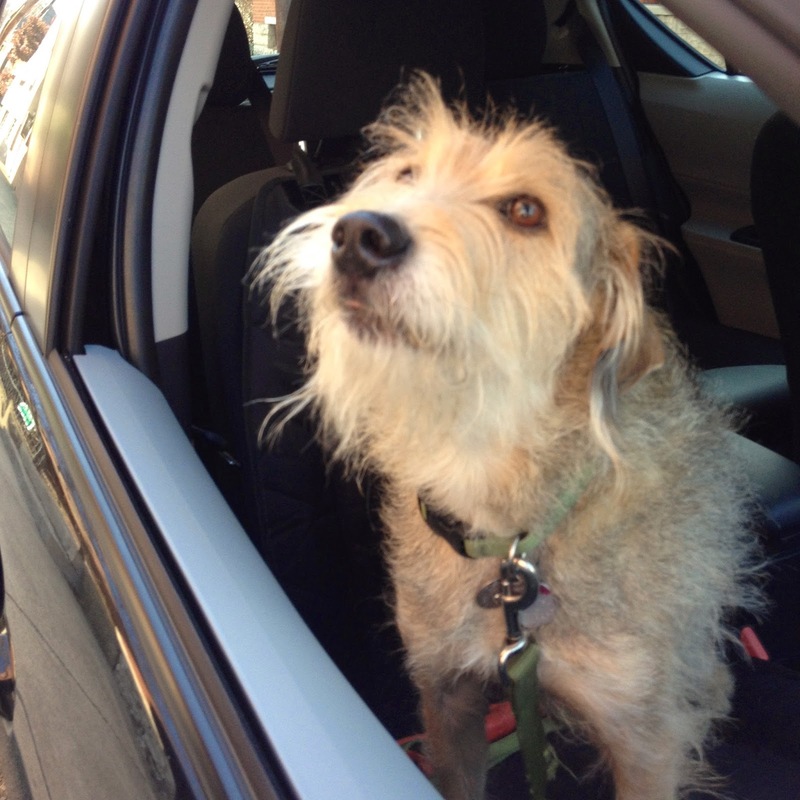 The car shouldn't be a free-for-all for your canine traveling buddy. While accidents are rare they do happen, and an unrestrained dog just like an unrestrained human passenger can quickly become a projectile missile in the event of an accident or even a short stop. And just think how frequently you make those short stops and successfully avoid full-blown accidents. Here's a story to illustrate our point: A friend of ours happened to hear that we were reviewing a dog safety harness for our blog, but she said that she didn't need to use one because her dog was "good' in the car—she just lies calmly during the ride. While it's great that her dog is calm and relaxed in the car, restraints (like seatbelts) are used just in case of a short stop or accident when her calm dog is likely to be thrown about the inside of the car, or worse, through the windshield, if not properly buckled in. 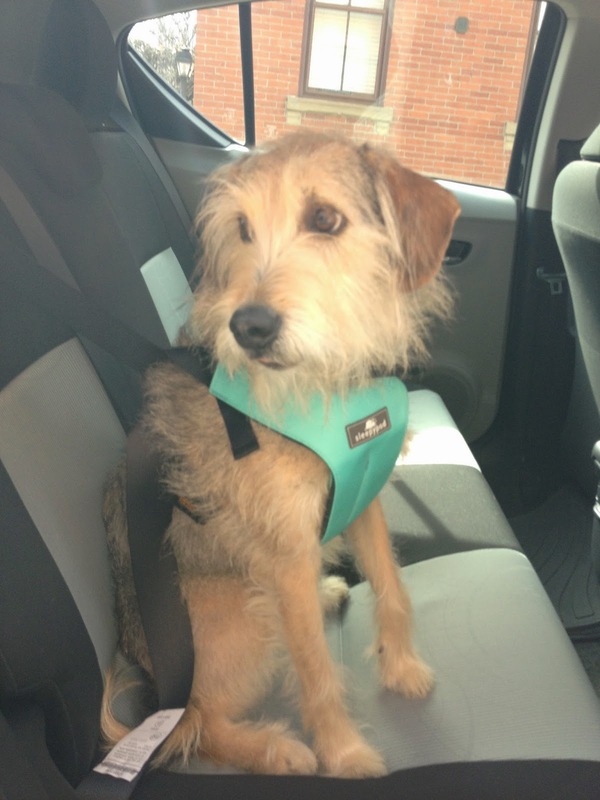 This safety harness is your dog's seat belt. Two additional cool features of the Clickit Sport dog safety harness are it's reflective straps for nighttime safety, and the ability to use the harness for walking. If you're on a long road trip and you stop to take your dog for a walk, just unbuckle the seatbelt and attach the leash—and you and your pooch can quickly and easily go for a stroll. Are we really going for a walk or is this just part of the photo shoot? A hearty thank you to Sleepypod for generously donating two Clickit Sport Dog harnesses (one for our review and one for a lucky Bocci's Beefs reader) and creating such overall superior products! Now you can win your very own Clickit Sport Dog Safety Harness from Sleepypod just by entering the Rafflecopter giveaway below! Good luck! What a blessing that would be for Molly - then she could stay on HER SIDE of the car instead of mine! Looks good on you Bocci and neat fit. Have a fabulous Friday. I'd like to win! I could really use this on some of my rescue dogs! Looks like a great safety harness! Awesome giveaway! I would love to win! It would be great in traveling this summer with our dogs! I would love to win this for one of my doggies. Thanks! I would love to win because my dog could really use this in the car when we go on trips! Love it! This harness would be great for my dog. I would love to win this for my dog to make him safer in the car. Exactly what Vinny needs for all our road trips. This is brittany marie thompson and i would love to win. I'd love one of these for my pup! Thanks for the chance to win! These are the BEST harnesses for the car! Be careful when choosing sizes for these. My dog measured at the top of the range for small, so that's what we got, but when we tried it, it was super awkward. It turns out it was waayyy too small. The loops for the seatbelt were down by her sides, nowhere near her back. We now have to get the next size up, so we're hoping we'll win one. Don't think that went through - trying again. Would love to win this for my mom!